Position your pedals in parallel to the ground. Compress yourself downward to build up pressure before the jump. Keep your legs and arms bend, get ready to spring up. 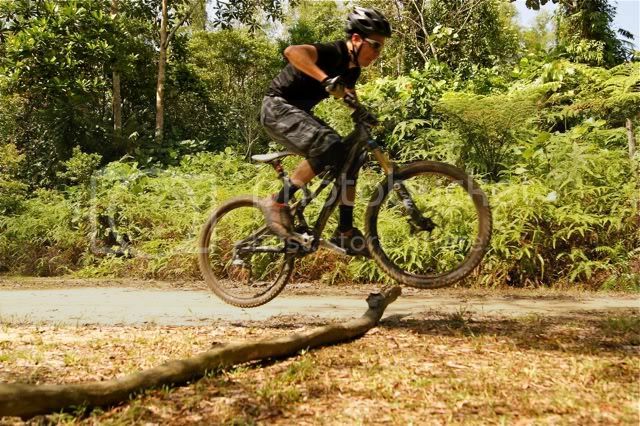 Gauge your speed and distance from the log, once ready pull up your handle bar as you jump. 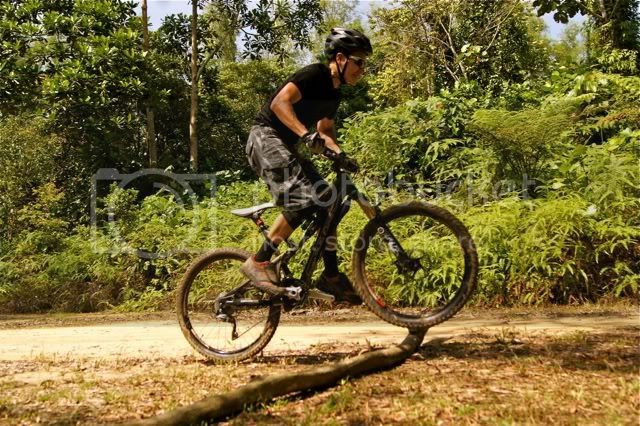 When your front wheel lift over the log, pull up the rear wheel with your rear foot. Position your body (forward or backward) to ensure the bike land on two wheels. 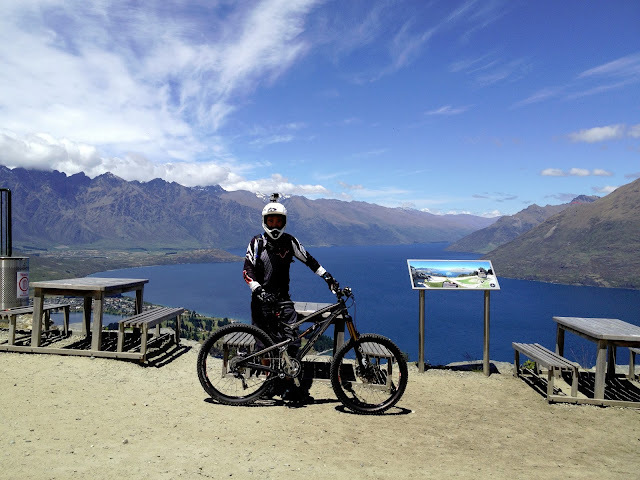 As you land, flex your legs and arms to absorb the impact even though you ride a full suspension bike. 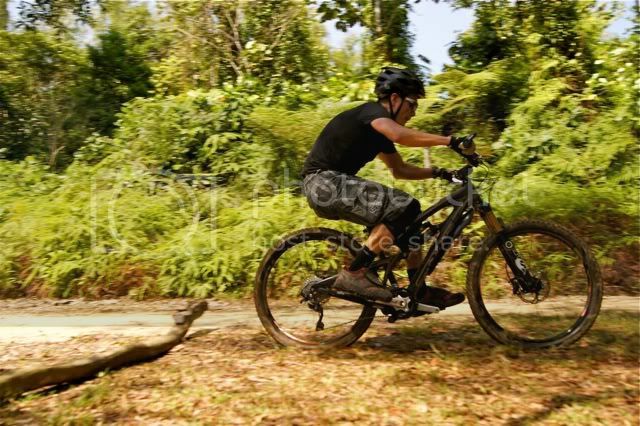 Bump hop leverage on the re-bounce effect of the front tire on impact and the pedal to lift the bike over the log. It requires lesser energy then bunny hop, but produce better jump over obstacle. 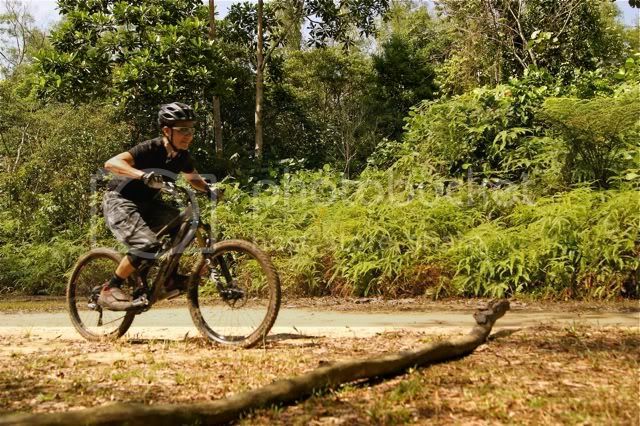 Watch the video carefully, and observe how the bike is lifted over the log. If the log is too large for bunny hop, just roll over it!